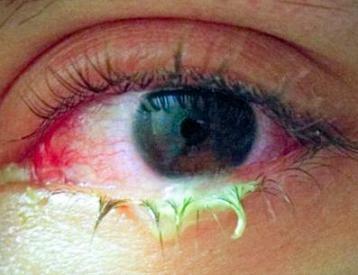 The dangers of contact lens are many. 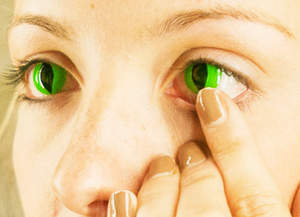 Currently, there are more than 125 millions people worldwide who are using contact lens regularly. What they may not know is that wearing contact lenses put you at risk of several serious conditions from self limiting to sight threatening diseases such eye infections and corneal ulcers. Our eye normally fights infections through a variety of defense mechanisms. Our tears are anti-bacterial in nature and blinking helps to wash off bacterial organisms or any foreign bodies from the surface of the eye. However, when you wear contact lenses, the effectiveness of both functions are inhibited. 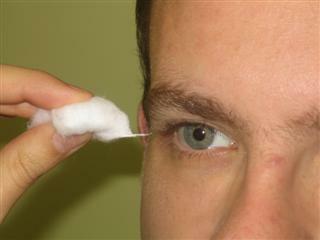 Thus, bacteria, fungus and parasite can bind to the surface of the contact lens that sits against the eye. If those organisms infect the corneal surface they can destroy the delicate corneal cells, which can lead to scarring and vision loss. To make matter worse there is a huge influx of cosmetic lens (decorative lens) wearers today. These lens are gaining great popularity among movie and music fanatics, inspired by stars like Lady Gaga and films like Twilight. Cosmetic lenses are sold everywhere, legally and illegally. These lenses carry the same or even higher set of dangers than a typical contact lenses as people tend to handle them less appropriately. Poor methods of usage include sharing the lenses, wearing ones that are either too big or hard and some even dyed their own cosmetic lenses! Most people think that nothing will happen to them if they are careful with handling the lenses. But there are just too many ways which contact lens can damage your eyes considering the fact that our cornea membranes are very fragile and the lens sits too dangerously close to it. What about the disinfecting lens solutions? Putting total faith in the hands of the others (especially if they gain monetary benefits from your trust) on your eyes may not be a good idea. Take the cases of ReNu MoistureLoc and Complete MoisturePlus for example. 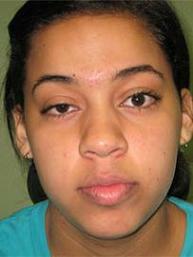 Both cases had resulted in large numbers of eye infections and even permanent blindness. Negligence in the manufacturing process can cause permanent harm to unknowing consumers. So be sure to check up on the ingredients and the credibility of the companies before you purchase their products. But I have To Wear Them! I am not here to tell you to stop wearing contact lenses permanently. I will encourage that but I also know in certain situations (if you are an athlete or job commitment), it is not feasible. I had known someone who has to wear contact lens during to work commitment. She is working as visual merchandiser for a big brand and her supervisor insisted on her wearing contact lenses instead of glasses to look more professional. She is already experience dry eyes and itchiness due to prolonged period of using contact lenses but she can't stop using the lenses not at the risk of losing her job. This article aims to share with you on what are the risks involved and how to negate some of them. If your glasses fall off, most likely you will see it once you tilt down your head. But if you drop your contact lens, it might need some sort of miracle to find it again. After that, you will have to proceed on without your lens for the rest of the day. Blinded in either one or two eyes. And that seems to defeat the purpose of putting on contact lenses because you want clearer vision, isn’t it? Always keep at backup, preferably in your pocket. Using contact lenses may cause a diminished corneal reflex in your eye. Corneal reflex is a protective mechanism of our eye. Whenever a slightest amount of pressure is applied to the cornea, our brain receives a signal to drop down the eyelids to protect our eye. This is what causes your eyes to instinctively shut down when you are surprised by a flying object towards your eye. Like an insect fly appears out of nowhere or when someone tries to poke your eyes. In short, your corneal reflex exists to protect your eyes from anything that may cause direct trauma to the eyes. And by constant application of contact lenses to the eyes, you are teaching your body to ignore your natural corneal reflex. Because of this you may dulling the eye's response to corneal reflex and this could lead to the eye being damaged because you couldn't shut your eyes fast enough when danger approached. Try to reduce usage when not required. Use eyeglasses instead when you are resting at home. Contact lenses reduces amount of tears getting on our cornea. Especially the soft lenses as they absorb most of our tears to keep itself soft. The lack of tear exchange can cause dry eye syndrome which causes uncomfortable feeling such as itchiness, redness and burning sensation. 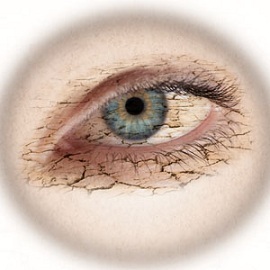 Severe dry eyes can also lead to scarring of the cornea which is painful as hell. Contact lenses can scratch your cornea and causes corneal abrasion if they are not fitted properly or when your eyes are dry. This is especially true if you are sleeping with contact lenses in. Abrasion can also happen when the lenses trap particles (such as dust, dirt and sand) and rub against your cornea. Cuts and abrasion create opening for bacteria and virus to seep through, leading to eye infection which can result into vision loss. Carelessness in handling your contact lenses during extraction and insertion can also increases your chance of scratching the cornea. Contact lenses, especially those worn through the night, provide a moist environment that is a potential breeding ground for microorganisms such as bacteria and viruses. And because less oxygen reaches the cornea when you are wearing the lenses, your body is not able to fight off infection caused by bacteria or viruses effectively. Thus contact lens wearers are at higher risk of getting eye infection such as conjunctivitis (pink eye) and stye. The most common type of conjunctivitis which contact lens wearers get is called giant papillary conjunctivitis (GPC) due to repeated irritation from the contact lenses. Do remember to remove your contact lens when you are going to bed. Contact lenses may increase the likelihood of you getting allergic reactions. The presence of a contact lens could possibly trap allergens between the eye or under the lens, allowing them to stay on the eye longer. Thus allowing more time for the allergic reaction to kick in. Some people might experience allergic reactions from wearing contact lenses due to the preservative in the contact lens solution. Such situation is usually rectified by prescribing a lens solution with different preservative. Ptosis is a condition also known as drooling of the eyelids where affected individuals aren't able to fully open their eyes. If you wear contact lenses, they may migrate into the lid tissues causes scarring and contraction of your eyelid tissues that result in a lid retraction. This is especially true for hard contact lens wearers due to repeated stretching of the lid during lens removal. Ptosis can also be caused by a severe giant papillary conjunctivitis which is commonly a result of contact lens infection. A corneal ulcer is an open sore in the eye's cornea, caused by bacteria, fungus, viruses or parasite infection. If it is not treated quickly, corneal ulcer can cause permanent blindness. By then, probably the only way to restore vision is through corneal transplant. The most common cause of corneal ulcer is by a bacteria that lives in water called Psuedomonas. About 12,000 contact lens users are affected by this infection every year. 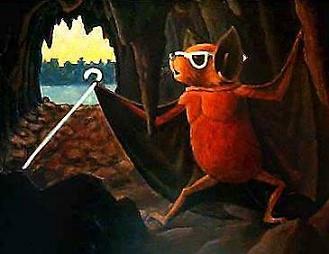 If you are infected with psuedomonas, this bug can eat into your cornea and destroy your sight within 24 to 36 hours. As your cornea is intertwined with nerves, the invasion process is extremely painful. A common symptom is green pus and pain, discomfort and light sensitivity after only a few hours. Jennie Hurst was blinded in one eye after a quick swim in the hotel pool with her contact lenses in. She caught a common parasite known as Acanthamoeba in between her contact lens and it penetrated her eyeball within days. 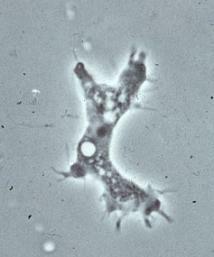 This organism can be found almost in all water bodies such as tap water, river water, sea, soil and swimming pool. In United Kingdom alone, 75 people are infected with acanthamoeba each year. To reduce the chances of getting corneal ulcer, it is important to upkeep hygiene when handling your contact lenses. Follow your eye doctor’s instructions diligently for proper cleaning and do not use water or saliva to clean or lubricate your lenses. And always remove the contact lenses before you getting into water whether you are bathing or swimming. Hopefully, the information provide above is helpful to help you mitigate some of the risks you may face wearing contact lens. Considering the risks involved, I highly recommend minimizing contact lens usage if it is mainly for aesthetic reasons.